Perfect for the very young dancer! Creative Movement dance classes for kids from 3 to 5 years old. This class is open to children able to take class without parent help. 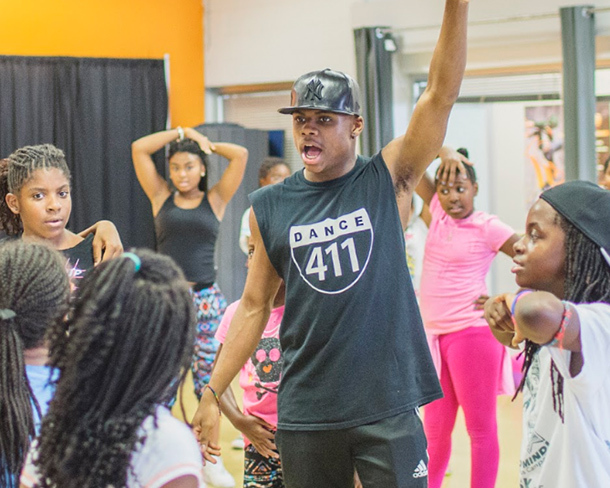 ​The classes will help build motor skills, creating awareness of their own body, and imaginative movement while introducing kids to dancing and music. Both girls and boys welcome! Students who are not yet 5 years old will benefit from creative movement classes. What is a creative movement dance class? The term creative movement is used to describe the basics of movement and dance for young children. Kids will learn to listen to music and move their bodies. They will develop body and facial expressions. A creative movement class is much more than simply telling students to pretend they are butterflies. The lessons are dynamic and fun to keep kids engaged. Classes are structured to the attention span of young dancers, never staying on one activity for too long. Dance technique will be introduced but its not a main part of class. We want children to be given the opportunity to be creative and flourish. What will be covered in our creative movement dance classes? The classes will be used to acclimate new dancers to the energy and structure of a dance class. These classes are typically not as formal as a regular dance classes. The will be less structured and tend to sway their focus more towards development of movement and communication. Your young dancer will start learning key motor skills, the ability to move to music, while improving listening skills and working on following directions from someone other than their parents/ guardians. Why should kids take a creative movement dance class? The later children start dancing the more difficult it can become (Imagine if you learn to dance a 3 rather than 33) Your new dancer will start developing an awareness of their bodies, movement and music at an early age. Kids will learn to focus and follow teacher instructions while moving around other children in a dance space. These skills will prepare them for more structured dance classes as they get older.